Looking for a new hobby or want a line of easy wood products to sell at craft shows and bazaars? 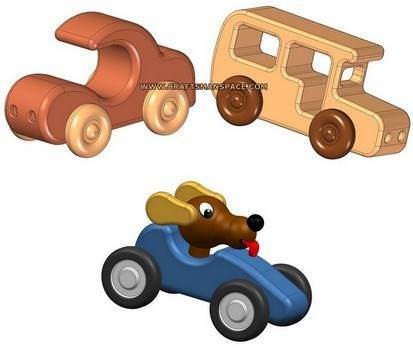 Wooden toy cars are perennial favorites and with free toy car plans, you will be building a whole fleet of cars, trucks, cable cars and sports cars in no time. 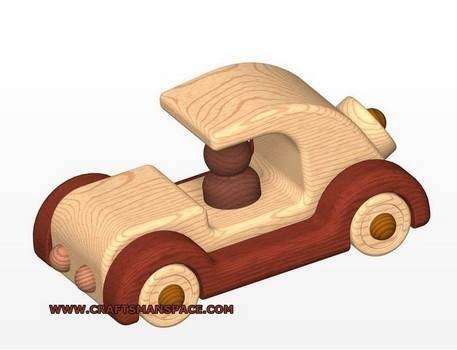 A child's car should be finished with non-toxic paints and stains, while a car using several beautiful woods would look great with a good sanding and coat of urethane. An easy to build toy that is lots of fun to make and even more fun for the child you give it to. 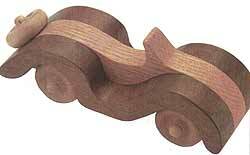 This would make a great gift for that special child that likes wooden toys or trucks. 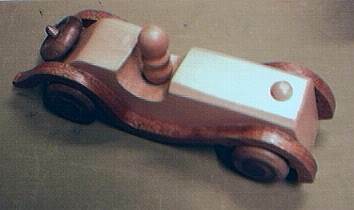 Step-by-step directions to make this nice looking wooden car. Here's a toy that reminds you of all the charm of San Francisco's famed cable cars - the clanging bells, the roller coaster hills and the thrill of seeing sites. 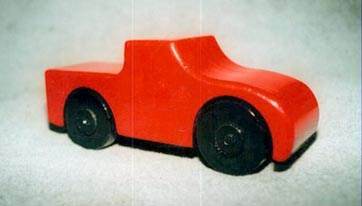 All you need for these old-fashioned cars are some small pieces of 3/4 inch thick scrap stock and some ready-made wooden wheels with axle pegs. This is a cute project, that takes a little thought. 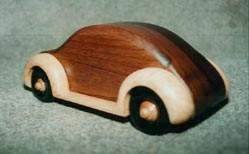 Walnut was used for the body and ash for the fenders. 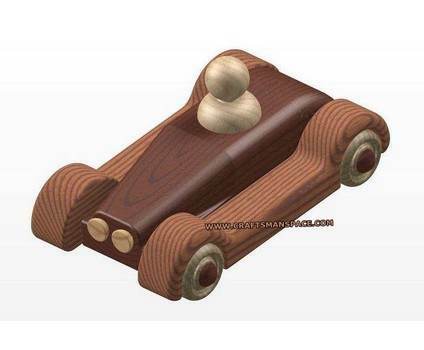 Here's detailed plans for making a cute car out of different types of wood. Here's an easy little toy you can whip up in an afternoon. This 10 in. pickup has a cartoon look with it's over sized wheels and bright paint job. 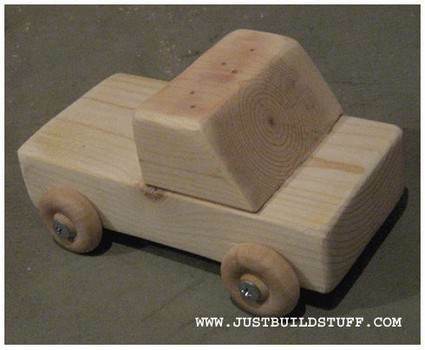 Perfect for races and children's toys, create an easy toy truck from any type of wood you have lying around. 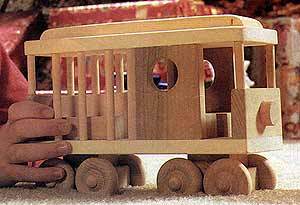 It can also be a fun project to teach classes in woodworking. 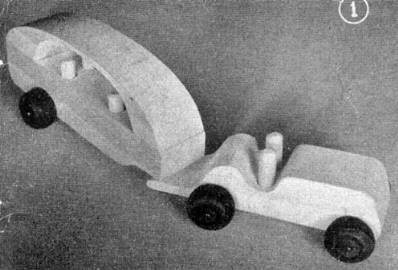 This is a plan for making a simple automobile toy for your child. 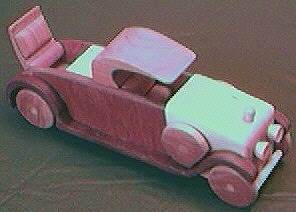 Make an easy old timey toy car using more than one kind of wood.